PE-500 can solve the moisture problem of recycled or new raw material avoid drying time to save processing costs of plastics production so as to achieve a kind of superior performance environmental friendly material. PE-500 is a new generation Desiccant Masterbatch. 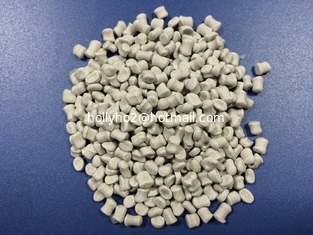 It is made by different producing art from normal Desiccant Masterbatch. Its lifetime reaches 200 hours after opening the packaging bag. 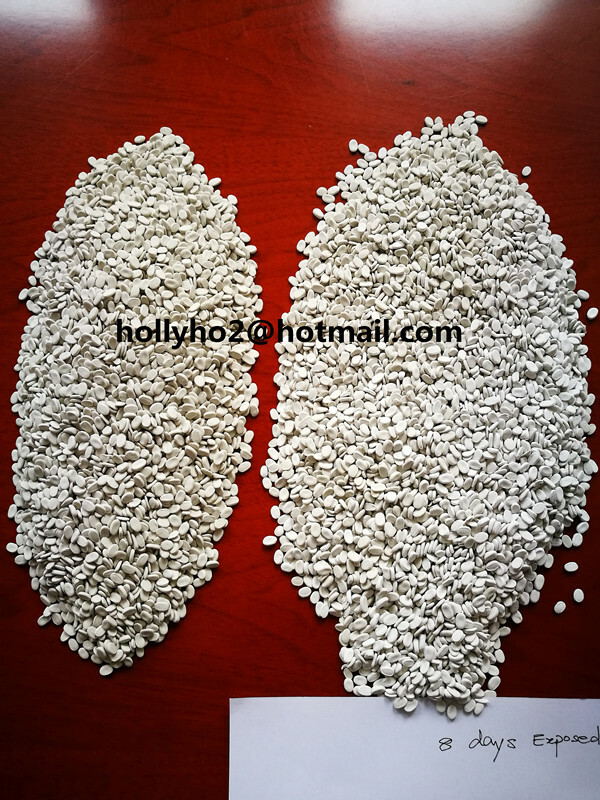 It has better glossiness and disperse than normal Desiccant Masterbatch. For HDPE, LDPE, PP Blowing Film, high end bags especially shows its prominent advantages. 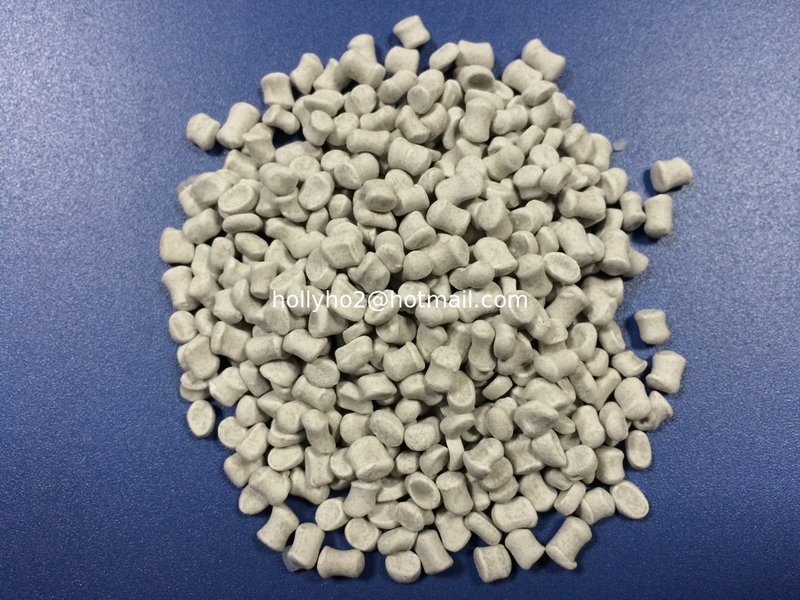 For Recycled or new HDPE, LDPE, PP Pipes, Sheets, and Various Shapes of Injection Molding Products. Recommend 1-4%, and adjustable according to moisture content in material. This is a modified dessicant masterbatch produced with a new technology. This desiccant masterbatch keep stable at normal temperature in dry place. It starts absorb moisture from 140 centigrade degree.